Like all companies we want to attract, recruit and retain the best people. We are a family owned business and proud of our history of developing great people through our investment in training, which includes our renowned apprentice scheme, our management and supervisor development programmes and continuous technical skills development. 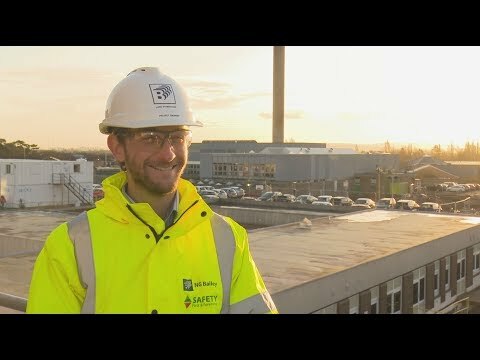 Our people are proud to work for NG Bailey. Don’t just take our word for it - they have some great things to say about us! We're committed to creating a culture where we treat each other fairly and with respect, recognising everyone as an individual. Our people come first and that's one of the reasons why a high proportion of those who join us end up staying for many years. We value the diversity of our people. We are an Investor in People and one of only a few hundred organisations who are proud to hold Investors in Diversity accreditation. We continue to strive towards our ambition of creating an organisation which is representative and reflective of the communities we work in. We have an online communication and information portal, MyNGBailey, which includes a host of useful information to help support you in your role with us and keep you up to date with what’s happening across the business. MyNGBailey was developed with our people in mind, to allow us to continuously improve the way we communicate with each other, and as a business, making it easier for us all to work together. We also issue a regular employee survey that allows you to feedback to us your thoughts about ‘how we are doing’ as a business and gives you the opportunity to help shape and continue to make NG Bailey a great place to work. We offer a generous annual allowance. An attractive scheme with one of the UK’s leading pension providers. If you pay into the scheme we also contribute to your pot! Depending on the role you are applying for, a range of cover levels are available to suit both you and your family’s needs. We’ve teamed up with market leading brands to offer discounts on a range of goods and services. Depending on the role you are applying for, there are a number of benefit options available through our flexible rewards scheme. We support you throughout your career with us, offering a number of learning and development opportunities. We believe in growth and giving our people the opportunity to develop their skills and knowledge, as well as learn news ways of working. That’s why we invest heavily each year in training and development. Progression is something we value and we’ll make sure that when you join us you have a clearly defined development path, supported by regular reviews, training and ongoing support to enable you to be the best you can be. When applying for a role with us we’ll make sure you are kept updated with your progress and supported along every step of the way of our recruitment process. Look at our recruitment map to find out more about your recruitment journey with us and what you can expect should your application be successful. Want to find out more about one of our opportunities? Thinking about an apprenticeship with us?